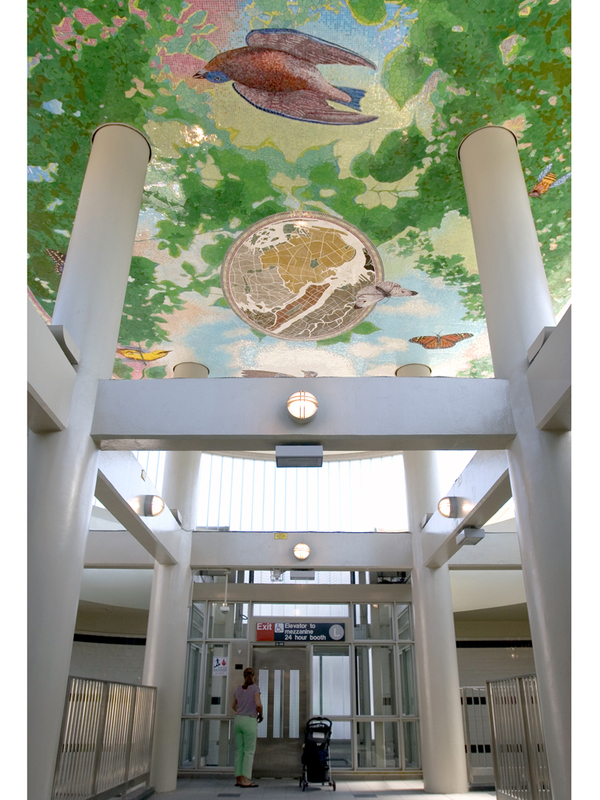 Ceramic, Glass and Stone Mosaic, 36 ft. x 28 ft.
A fantastical view out of the station through a canopy of foliage and into the sky, this mosaic provides a joyful visual escape out of the station. 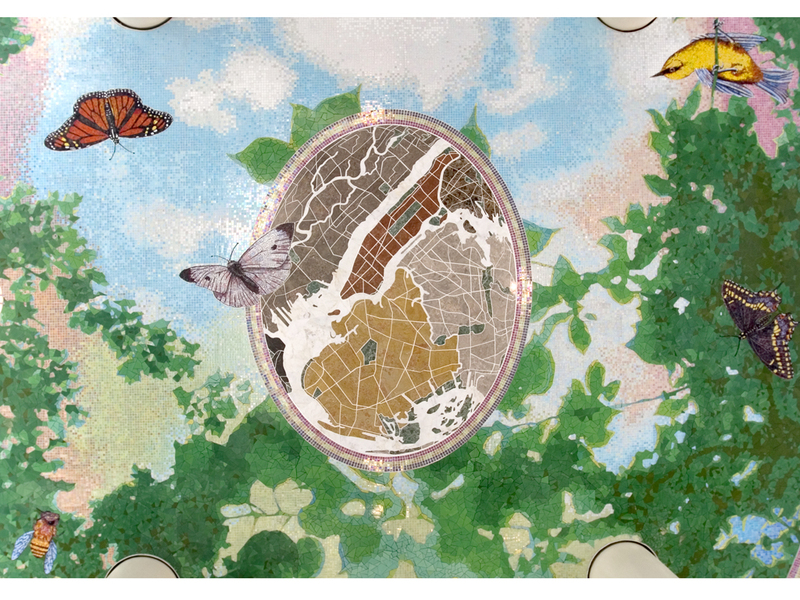 Flying birds and butterflies enliven the fantasy while a small central map reverses the view and depicts the City from the sky looking down and points to the viewer’s real location. 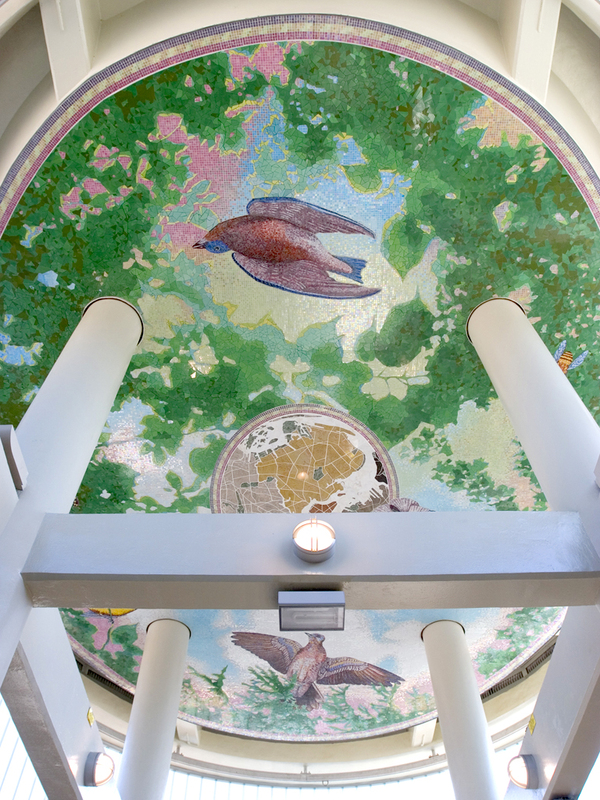 The foliage is made of shades of green ceramic tile to contrast with a sky made of colorful shimmering glass tile. 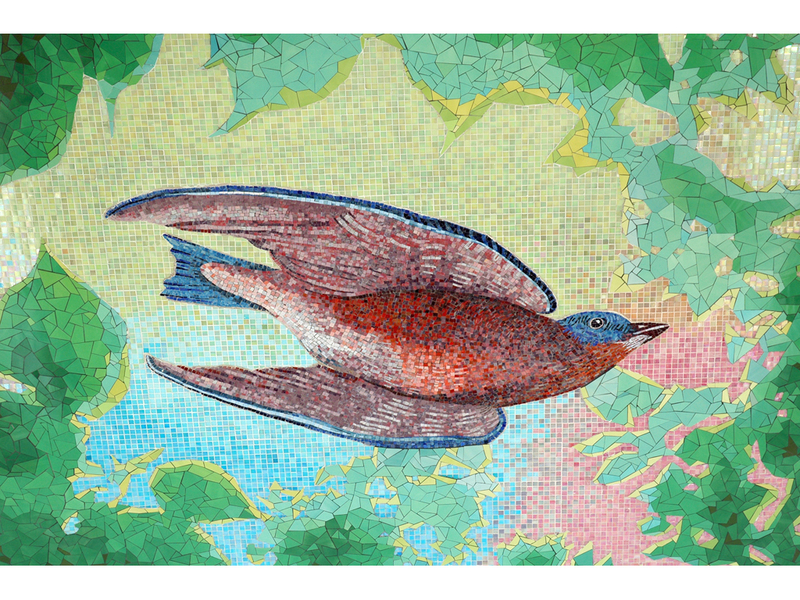 Rainbow colored frames, birds, butterflies, and the aerial map are made of a combination of glass, smalti and stone mosaics.